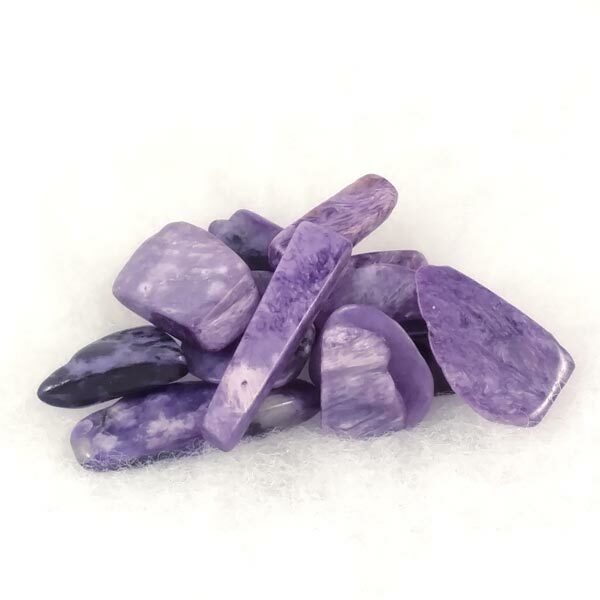 Tumbled Charoite with beautiful colors and patterns. These come from the Sakha Republic, Siberia, Russia. Assorted sizes and shapes. 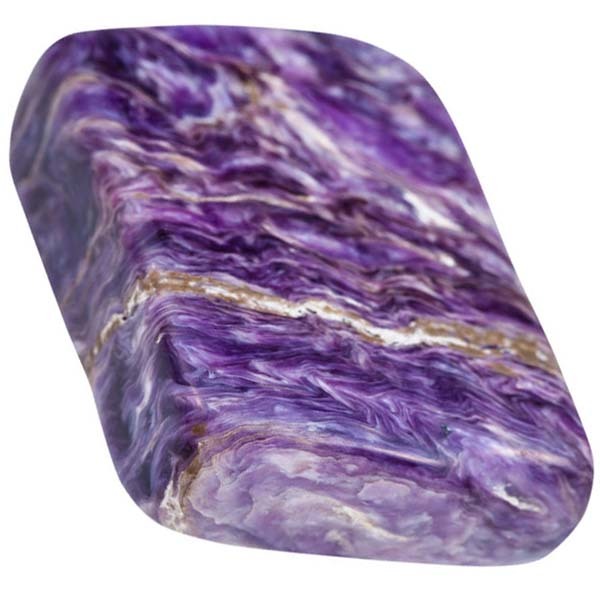 Most are about 1 inch square and 1/8 to 1/4 inch thick.